Huge, bell-shaped, 5" pink blooms make a big impact when they burst into bloom in mid to late spring. 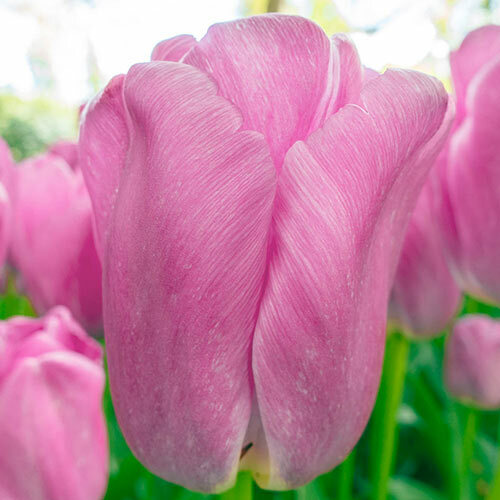 Pink Pride Tulips are some of the best tulips for landscaping. They have long, sturdy, 22" stems that hold up well in the garden and cut-flower displays. They perennialize well, so you can enjoy them year after year. Sports of Darwin Hybrid Tulip Ollioules, they grow and perennialize best when planted in well-drained soil and in full sun to part shade.